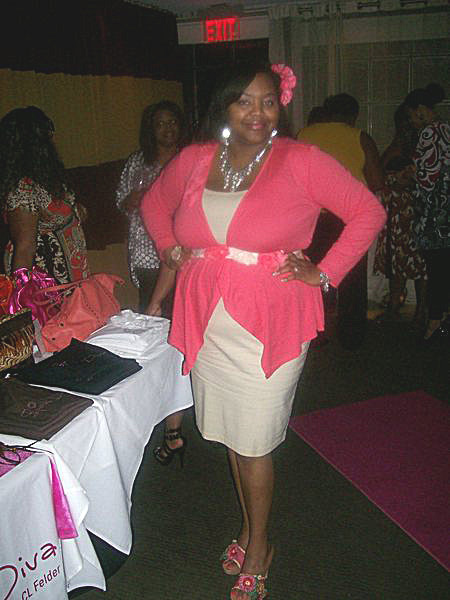 Believe it or not, this was my very first shoe event…and was a memorable one! Hello Stiletto is a shoe club that meets monthly at various hot-spots in and around Atlanta. This particular event was held at the ultra swanky Ecco restaurant located in the heart of Midtown in Atlanta. The setting was ripe for a great event which included signature appetizers, wine, and a DJ to keep the crowd moving. 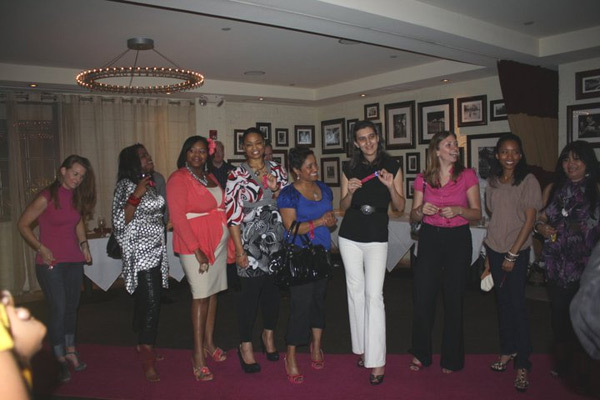 The Atlanta Chapter of the Hello Stiletto Shoe Club, which is headed by sisters Melissa (President) and Amanda (Co-President), hosts some of the swankiest shoe events in town where fab ladies, who share the same passion for shoes, all come out to strut their stuff on the “pink” runway. The ladies all sashay down the runway for a chance to win the coveted award for the fanciest heels in the house. Nikka Shae rockin the Betsey Johnson's...FAB!!! I will see you girls at the next Hello Stiletto event!!! Is it Haute in here, or what!